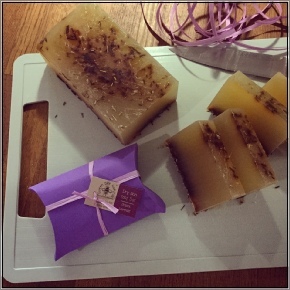 We have used lavender seeds and pure Lavender Essential Oil to create our Dry Skin Soap Bar. Lavender is known for its healing and soothing properties as well as being antiseptic, calming & anti inflammatory. Gentle enough to use on sensitive skin while also being very effective on dry, flaky skin. 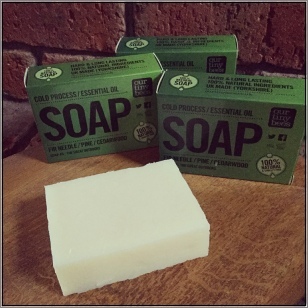 This soft and creamy Soap is made with 71% certified Organic ingredients and is free from SLS, SLES, parabens, artificial colourants & perfume. 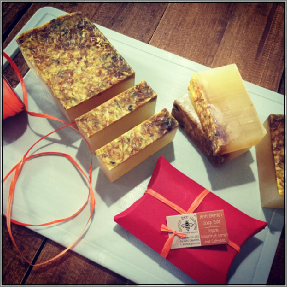 This wonderfully refreshing scrubby clean soap bar is made using cooling and anti-bacterial pure Peppermint Essential Oil & volcanic Pumice making it great for rough skin or very dirty hands!!! 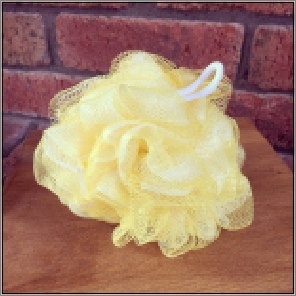 Help your body-wash go further as it lathers up with one of our beautiful bright lemon Body Wash Scrunchies!! Simply add a squirt of your favourite Body wash to the Scrunchie and use all over the body to remove dirt and dead skin cells then use the loop to hang it up to dry until the next use. 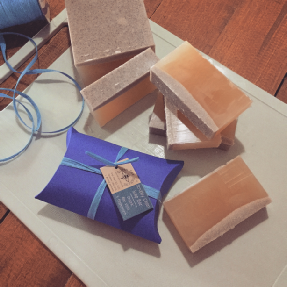 These wonderful handmade bath bombs are made off shore in the outer Hebrides using 100% natural ingredients and are suitable for kids and adults and even those with sensitive skin. 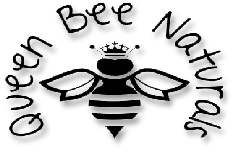 Free from all artificial ingredients, colourants and perfumes. 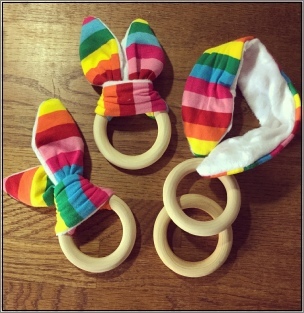 These beautiful natural, eco-friendly teething rings are chemical and plastic free. The brightly colored fabric is soft and attractive and the ‘crinkle’ ends make it even more stimulating for the infant. 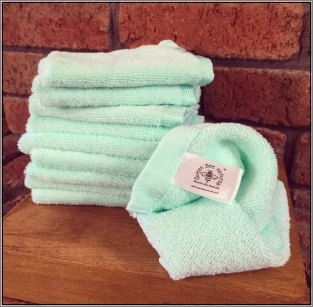 To clean them just remove the fabric and wash at 30 degrees, while using warm water and mild soap to clean the wood. 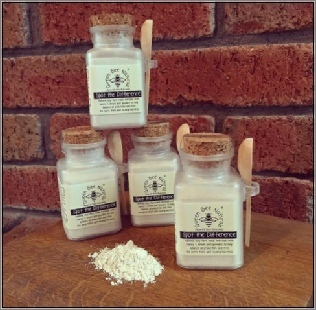 A natural, non-toxic way to aid teething. 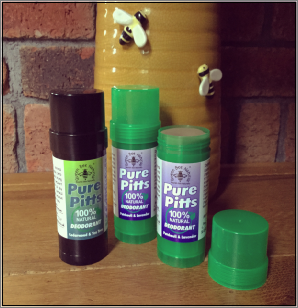 A refreshingly safe, non-toxic, natural deodorant which glides easily onto the skin. Its formula is quick drying and non-sticky with the added benefits of pure essential oils which smell subtle yet pleasant keeping you feeling fresh all day. Free from all harsh chemical ingredients. 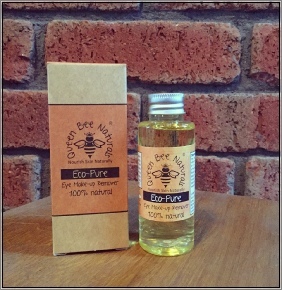 Perfect for sensitive skin types and suitable for all skin types and all ages. Nothing but the best for your Pits!!! 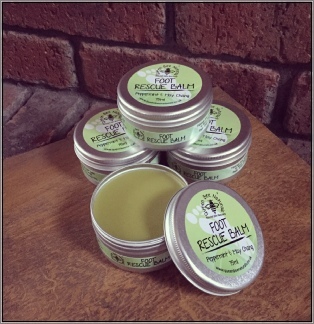 A completely natural balm which literally melts into tired, dry feet leaving them tingly fresh and super soft! Well hello THE GREAT OUTDOORS. Inspired by woodland walks this blend is pure evergreen woodland. A very resinous smell that instantly transports mind and body to places of solitude and adventure. 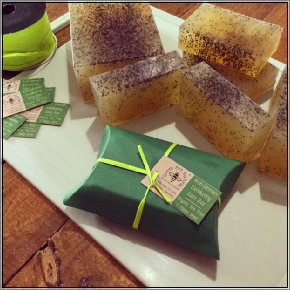 This 100% natural Sugar Scrub Body Bar is developed to remove dead skin cells, polish the skin and minimize ingrowing hairs. Sugar is a great exfoliant for sensitive skin types as it doesn’t damage the skin like some of the other more abrasive exfoliants can. 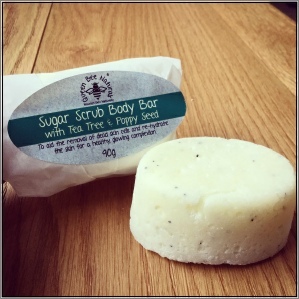 Use in the shower or bath to re-hydrate the skin for a healthy, glowing complexion. Great to use before applying false tan!